If there ever was a time marked by honor among thieves, that era is long gone by the start of Election, swept away by modernity’s ruthless ambition. The first of a two-part saga that concluded with 2006’s Triad Election (a.k.a. Election 2), Johnnie To’s 2005 crime film immerses itself in the Hong Kong underworld, where the criminal Wo Shing society is holding an election for its new chairman. 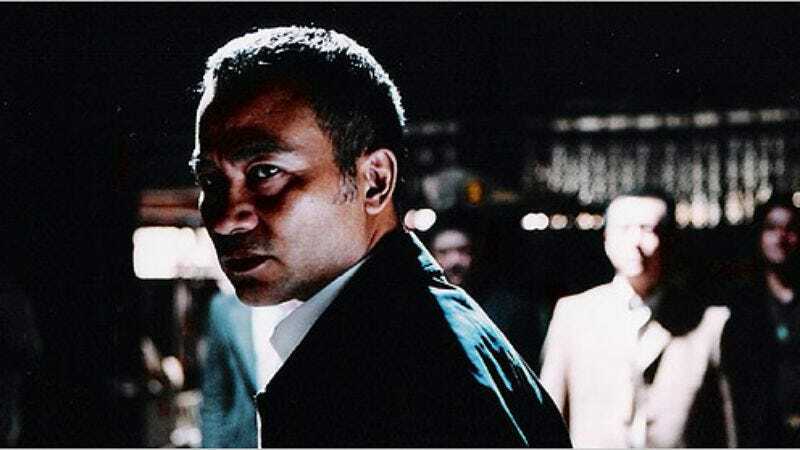 That contest pits Lok (Simon Yam) against Big D (Tony Leung Ka-fai), the former a calm, respected, would-be Godfather and the latter an arrogant, slightly unhinged outlaw who’s determined to ascend to Wo Shing’s throne through bribery and intimidation. When Big D’s plans fail and Lok is nominated for the prestigious post, it sets off a race between the two adversaries for a century-old Dragon Head Baton that must be possessed in order to rule the gang, all while the police ineffectually attempt to intervene and strike a truce in order to avoid all-out war. Often cloaking its action in darkness, which suggests both the grim nature of mob conflict as well as the ambiguous loyalties of its characters, Election paints a picture of 21st century criminality as perpetrated by thugs who profess to honor the past but, in truth, care only about their present wealth and power. Be it the baton or a late ancient ritual designed to bond former enemies as brothers-in-arms, To’s saga makes plain that self-interest, far more than traditional ideas about honor, defines contemporary crooks. While that’s hardly an astonishing revelation, the writer-director deftly generates suspense (as well as sly comedy) from a mood of all-consuming untrustworthiness. To’s film brims with men who affect an air of democratic evenhandedness in patient conversations, and yet quietly seethe with the sort of unbridled viciousness that would compel them to crush a comrade’s skull were he even to imply a treacherous impulse—or, for that matter, if it best served their own financial and professional ends. Thrilling and amusing in equally dark measure, it’s an incisive portrait of a dysfunctional family-style organization struggling to update its sordid operation in an age of unchecked capitalist greed. Availability: Election is available on Blu-ray and DVD through Netflix, Amazon, or possibly your local video store/library.